Scientific Computing World is the only global publication dedicated to the computing and information technology needs of scientists and engineers. It covers computing for engineering, science, and technology, grouped under the headings of Laboratory Informatics; High-Performance Computing; and Modelling and Simulation. 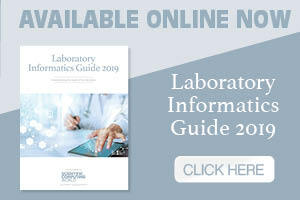 Laboratory Informatics software is driving the development of the ‘Smart Laboratory’, where products ranging from Electronic Laboratory Notebooks through traditional Laboratory Information Management Systems (LIMS) to cloud-based and Product Lifecycle Management systems are not only speeding up the business of analysing samples but also converting the data into knowledge for the enterprise or organisation. 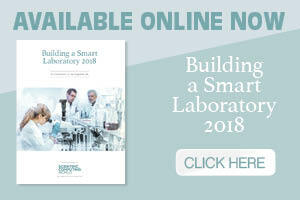 We report on developments from the discovery and QA/QC laboratory as well as process-analytic quality assurance. 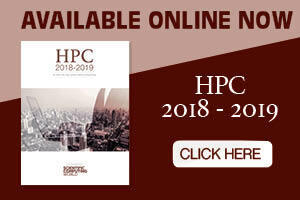 High-Performance Computing (HPC) is central to the publication, with a special section in the print magazine and an e-newsletter devoted to HPC. Because of the nature of today’s supercomputers, end-user scientists and engineers do need to understand the compute architecture if they are to get the best out of their machines, so in our HPC section we report on developments in the hardware and discuss the software challenges. Modelling and Simulation software in engineering, chemistry, and the life sciences focuses on engineering design, research and development, with simulation and optimisation (in both mechanical and chemical engineering) a particular strength of our coverage. Our focus is on how computers and information technology can make science and engineering faster, easier, and cheaper. Apart from High-Performance Computing, Scientific Computing World does not deal with developments in computer science or technology per se and so we do not cover commodity hardware or conventional, enterprise computing. First published in 1994, Scientific Computing World specialises in reporting on what makes computing for science and engineering distinctive. The geographical extent of the publication’s circulation means that it is the only truly global publication in this field. Scientific Computing World consists of a website www.scientific-computing.com three monthly email newsletters and a magazine that is available digitally and also in printed format. Scientific Computing World is not an academic or research journal. We publish news, comment, feature articles, and product news, as well as white papers and webcasts. We do not publish research papers. We assert copyright over all material that we publish (apart from the ‘Press Releases’ and ‘White Papers’ section of the website, see below). Feature articles are, as a matter of general policy, written either in-house or by one of our regular freelance contributors, and we do not accept by-lined features from suppliers, PR companies and so on. This provides a modicum of assurance to our readers that there is at least a degree of independence from influence by advertisers in the editorial content. And we are certain that our readership values this independence. Naturally, we do seek interviews with and information from individuals and companies that have specialist knowledge in the sector on which we can base our feature coverage. A list of proposed future editorial features is available in our advertise page. In addition, the editor regularly sends out an email a few weeks’ prior to editorial deadlines with more details of the features in an upcoming issue and how to get involved. If you would like to be included on the distribution of this email, or if you see an item on the list where you think you might be able to contribute a point of view to the writer, please contact the editor at editor.scw@europascience.com. All such editorial contributions are free of any charge, but inclusion is at the discretion of the writer and the editor. The Press Releases section of the website contains news and product press releases sent to us by companies and organisations in the field. These are published verbatim, without editing for style or content. Again, the inclusion of material submitted in this way is free of any charge. Although we do not edit the content of this section, inclusion is at the discretion of the editor. Press releases are considered to be free of copyright restrictions, and we do not assert copyright over material in this section. Contributions to our press releases and news sections are welcomed. Information should be sent (by email only) to editor.scw@europascience.com, and to no other address. Any images supplied are assumed to have no copyright restrictions and may be published without credit unless explicitly specified. Analysis and Opinion is where we invite experts in the field (whether from a commercial company or a not-for-profit organisation) to contribute their opinions (hopefully controversial) as long as they can back them up by some analysis. It is a place where they can express themselves in their own words, but it is emphatically not a slot for marketing ‘puffs’ for a company or its products. Rather it is a place to address issues that are topical in the industry and of general interest where the writer has some original views. The author’s company or organisation does, of course, get acknowledgement. The higher the quality of, and the more impartial, the contribution, the greater credit redounds to the author and their organisation. All contributions are of course subject to the editor’s discretion and they will be edited to accord with our House Style. Guidelines for those wishing to contribute to Scientific Computing World can be found here along with information about our Editorial House Style. Briefly, our House Style may differ from your own. Spellings are British and not American English. We also adopt English typography. It is our style to place product or company names in lower case with an initial capital - so a product called THE BETTER MOUSETRAP will appear in our publications as The Better Mousetrap. The editor’s decision is final in all cases. We do not offer editorial material for client approval prior to publication. The White Papers section of our website extends and complements our feature coverage. While our features tend to be ‘synoptic’ -- giving an over-view of a subject at a particular time -- the ‘White Papers’ section contains material that offers greater technical detail and complexity, albeit with a narrower focus on specific specialist areas. Contributions to this section are provided by companies and organisations in the field, and are written in their own words without editorial intervention. We charge a fee for including White Papers on our website. Webcasts bring expert specialists together to present and discuss, in streaming audio format, topics that are of interest to the community that our publication serves. Contributions to this section are organised in cooperation with companies and organisations in the field, and will often include their own in-house specialists. We charge a fee for including Webcasts on our website. Research Information, a publication aimed at European professionals working with the online collation, distribution and management of scientific, technical and medical information. Electro Optics, Europe's longest-running publication for the photonics industry. Imaging & Machine Vision Europe, Europe's only dedicated publication for design and production engineers working in the industrial imaging and machine vision markets. Laser Systems Europe, the new publication for integrators and users of laser systems. Fibre Systems, formerly Fibre Systems Europe, is the leading publication covering technology, applications, business and regulation for the optical communications industry.